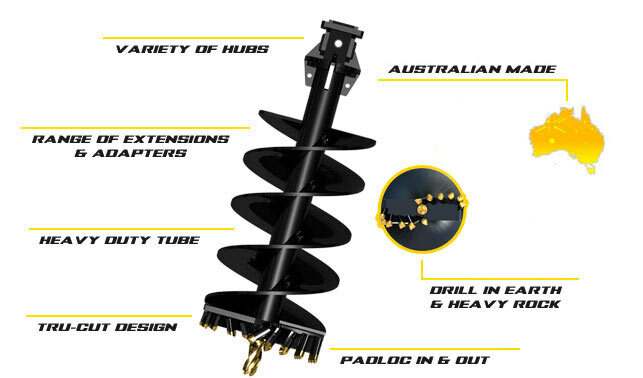 Our 11 Series augers are specially designed for Excavators and machines up to 50t. 300mm and above feature double helix flighting to efficiently carry more spoil. Dig holes in earth, hard soil, clay, asphalt, concrete, shale and fracturable rock. For pricing or more information about the Extra Heavy Auger: 20T – 50T fill out the form and we&apos;ll be in touch soon. Alternatively call (08) 9457 1544.